This is a very rare and unique employee award from Walt Disney Imagineering. The company would have annual family days with competitions, and competitors would actually win awards. 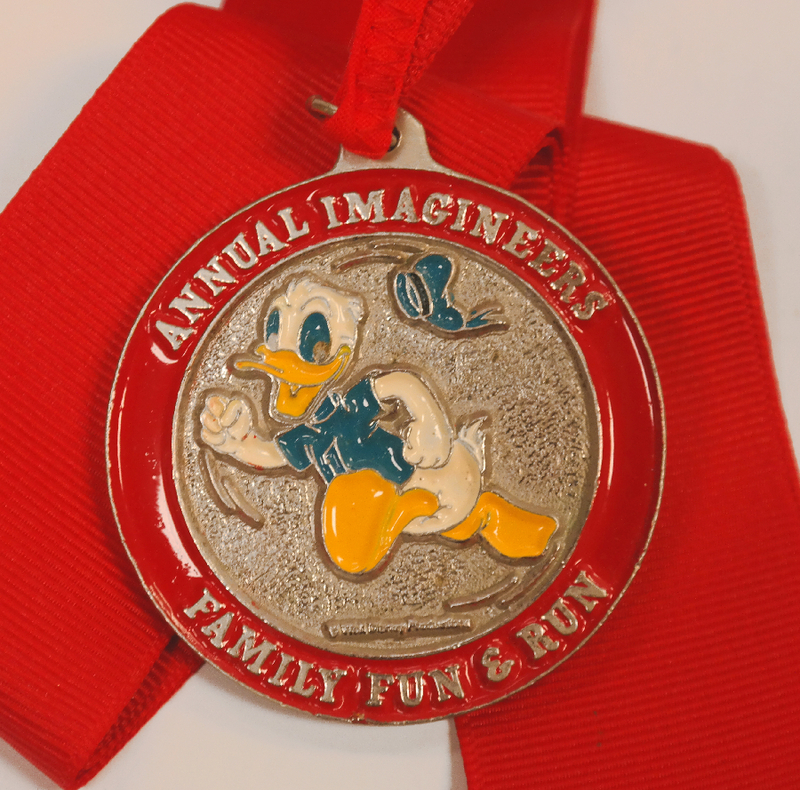 This award is from the 1983 Annual Imaineers Family FUn & Run, and it was awarded to an employee for his second place finish in the 5K run for men ages 46 and older. 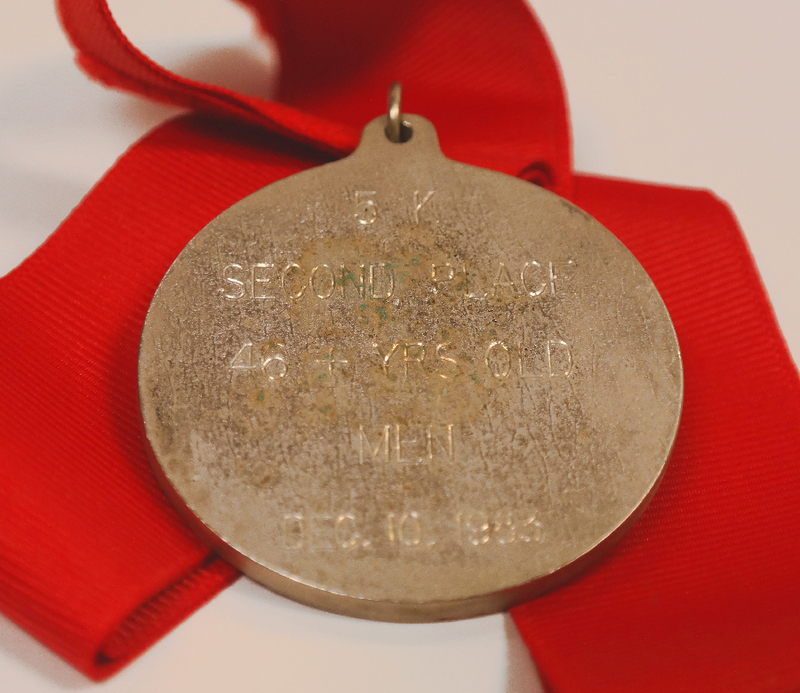 The award itself measures 2" x 2" and is on a 26" long wide band, red ribbon. 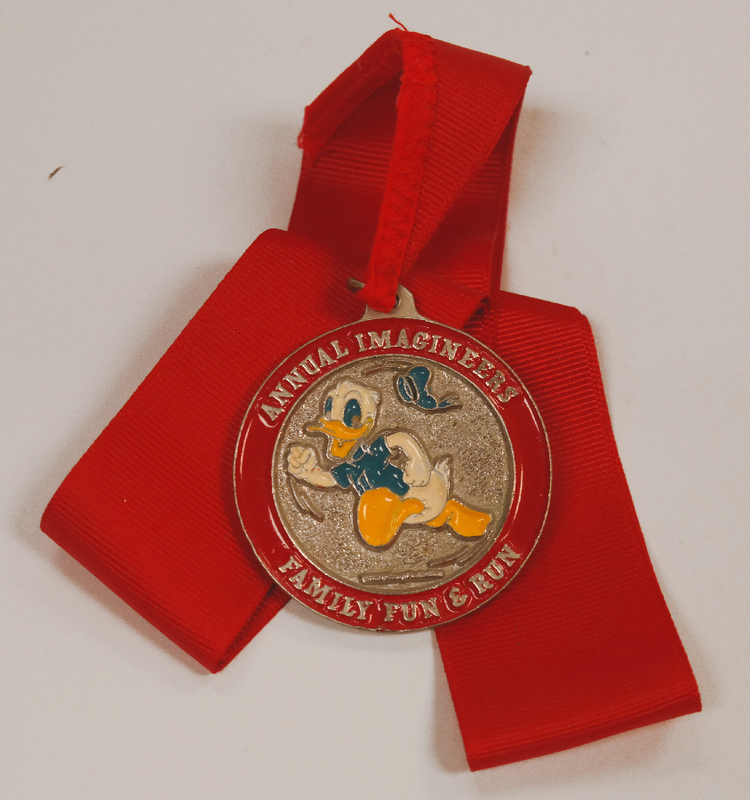 The front of the award is a slightly raised image of Donald Duck running with the daily event title, and the back side is inscribed "5K Second Place 46+ Yrs Old Men Dec 10, 1983."